There has definitely been a learning curve to island living. It’s been a fun adventure thus far, though. 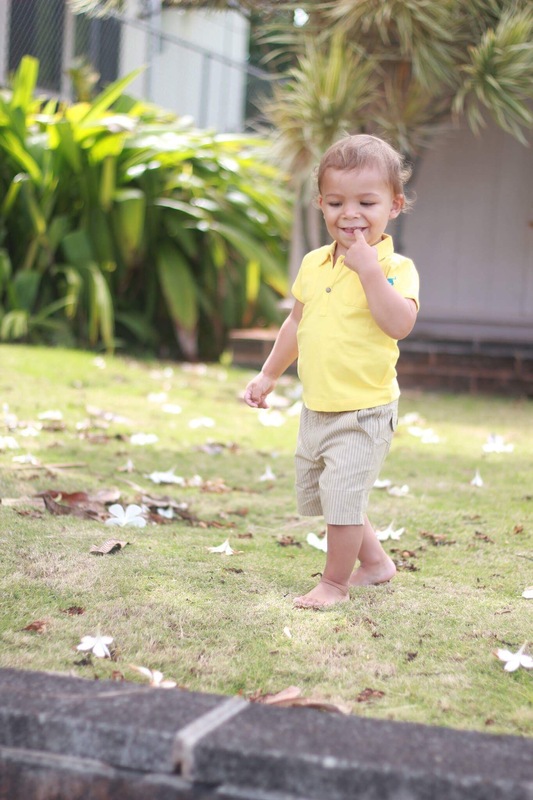 When we first moved to the island with eight outfits for each kid because everything else was being shipped over, I never dreamed that during that time my oldest and my youngest would go through mega growth spurts and require whole new wardrobes. Let’s just say, shopping on an island is tricky. At least when you’re hugely pregnant and have three kids. Or if you just want to avoid traffic, and lots and lots of tourists. And my kids will tell you, they don’t like tourists, ha ha. When I lived in England the year before J and I got married, one of my favorite pastimes was simply browsing the stores looking at baby clothes. I was baby hungry already then. So I guess it’s not a surprise thay here we are, ten years later, due with our fourth child. I love how appealing the apparel in Europe was for children. It was all so classic and dainty, and stylish and chic. Without being over-the-top. I even purchased a handful of outfits for my niece while living there. If I’d have known I’d be on the baby wagon shortly thereafter, I’d have probably stocked up for myself too, ha ha. But one thing all that baby clothes perusing did for us was make us thoroughly appreciate high-quality, nice clothing for our children. 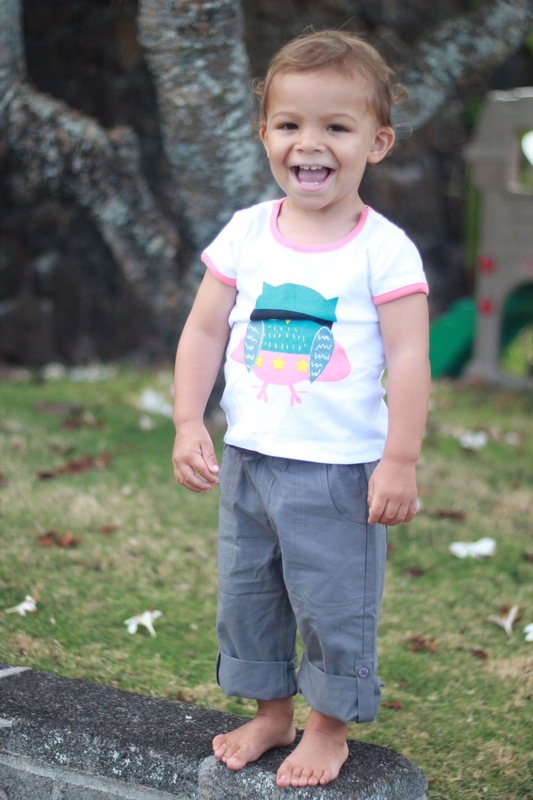 So J never once said a word about spending a pretty penny on nice, coordinating, high-quality apparel for our kiddos, because not only are they adorable on, but being such great quality means that they last essentially forever. They can handle the rough and tumble of unhindered kid play, and come out on the other end still looking practically new! I knew I needed to find something on the island that could last through my toddler, but unfortunately the only store I was making it to was a much-loved big box store where moms are known to waste too much time and spend too much money. And it was still a lofty 40 minute drive depending on traffic. And with a screeching toddler, and a cute baby pressing on my bladder nonstop, not to mention two delightful but very loud older kids, that does not sound like a fun event. I already knew I was going to have to turn online to find clothing for Miss H. She’s a high-class kind of girl, and prefers dresses. And not just any dresses, but typically nice, expensive dresses. 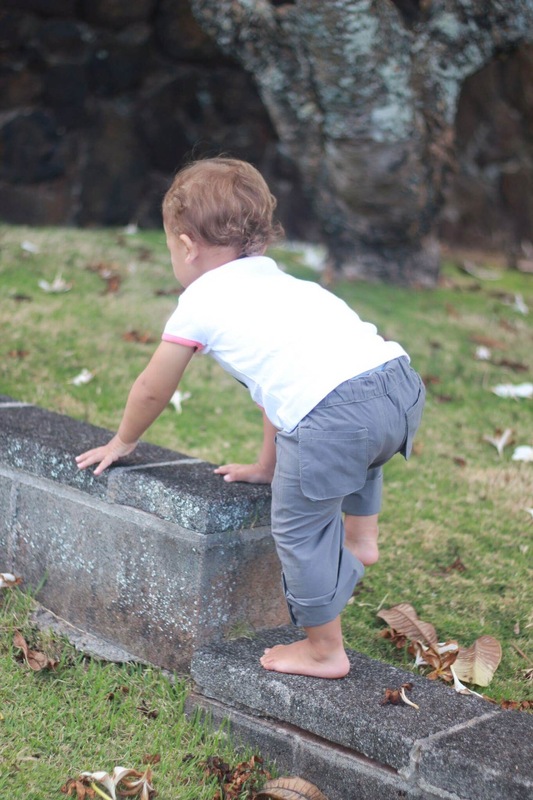 But the idea of shopping online for Sweet M was a little more disheartening because, well, time. Who has time to shop online all day? Who has time to piece together outfits that coordinate with one another? Who has time to go from one website to another trying to figure out what it is they need exactly? When you have someone this cute wanting to play with you, who wants to be on the computer? That’s when I came across 3-2-1 Framboise. A monthly box subscription of European infant apparel. Um, yes, please! The sign up process was easy peasy, and most importantly – fast! It was only a few quick minutes and took very little time from those cute and crazy kiddos of mine. I answered a few quick questions: age, size, style-preference, and climate, and voila! It was that easy. A box of two adorable European brand outfits were on their way to use for Sweet M, and I didn’t have to waste any time shopping myself. What an absolute blessing for any momma, because we all know that whether you’ve got 1 little one or 12, whether you work outside of the home or inside, we are all super busy and can use the gift of time-saving any where we can. And who doesn’t want to save time shopping and still get ridiculously adorable, high-quality clothing for their babes? An added perk to 3-2-1 Framboise is that by subscribing to a monthly box, you’ll have clothing coming your way as baby grows; so no moments of frantically wondering how it’s possible that your darling literally grew an inch over night and now you’ve got nothing for her to wear. 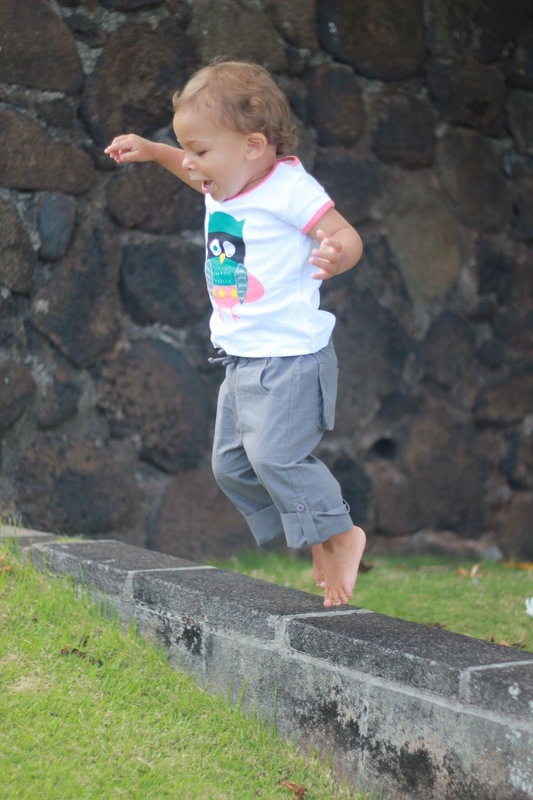 3-2-1 Framboise carries apparel for babes in size 3-18 months. But European sizes run awfully generous, so you’ll get a lot of bang for your buck in these darling outfits! You also get information about the clothing 3-2-1 Framboise is sending you. Information about the company the clothing is from, any little tidbits that may be helpful concerning the apparel such as adjustable waist, etc. Plus it all arrives at your doorstep in the cutest box and packaging! 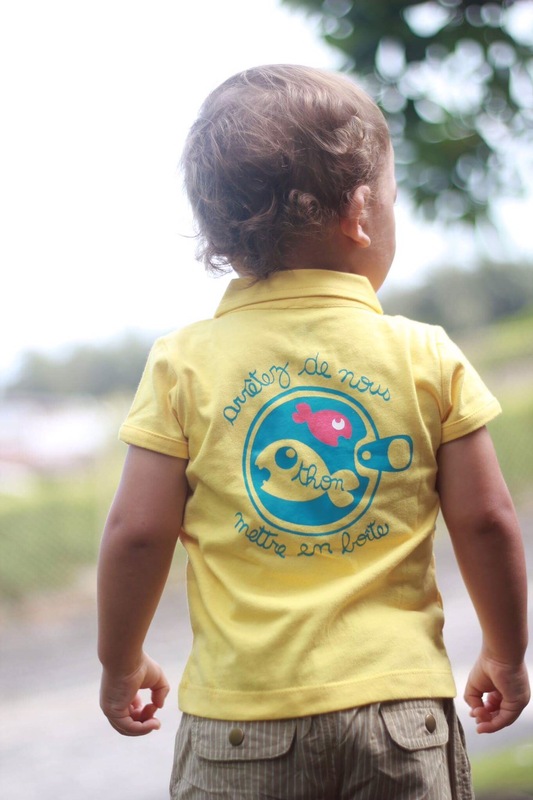 This adorable organic outfit is sized 18 months. Sweet M is 32″+ and over 25lbs. And he’s still got room to grow. Plus check out those cute buttoned cuffs on those pants. He will get a lot of wear out of those! Also, can I just swoon over my baby for a moment and how awesome he looks in that sweet salmon-colored trim? 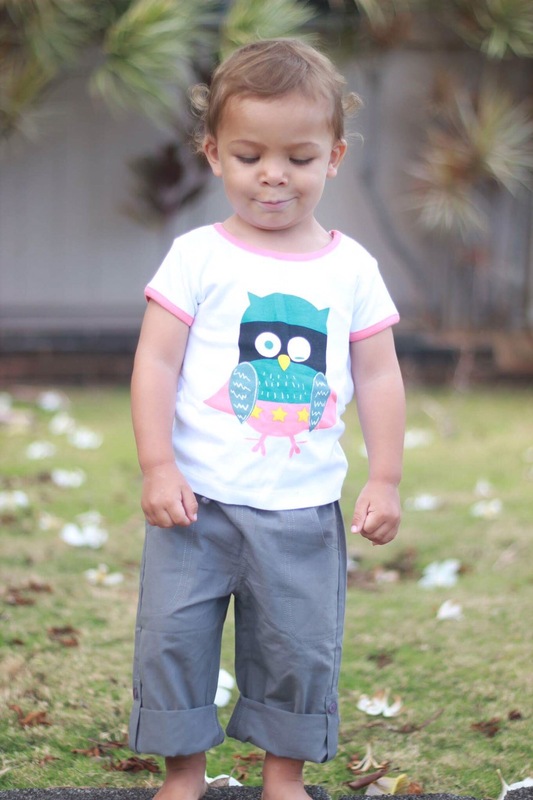 Did anyone notice there is a bird (owl) on my bird-loving toddler’s shirt? I think it’s safe to say this will be a favorite for a loooong time! I also want to point out that these suave, light-weight organic pants have a drawstring. And not one of those “for looks” drawstring; it’s a genuine, bona fide, working drawstring. Which is fantastic. At home Sweet M is mostly diaper-free, and he’s got a tiny, bitty waist like all my kiddos, so most pants fall right off. But when we are out and about he’s still in a diaper, and since we use cloth that means a big ol’ bum, in which case sometimes pants are just way too small to fit properly. But these pants work for any situation! The other outfit we received was this class-act: dapper enough for mass and low-key enough for play (I mean, Mr. B wears button ups by choice as casual-wear, so it’s no surprise his little brother is following suit with his debonair style). Those cute pin-striped shorts also have an adjustable waist with buttons and elastic inside, so they’re super versatile for diaper or none, or skinny dude or chunkalicious one (can we gush over chunky baby thighs for a minute?). He’s so suave and he knows it. And I feel good about dressing him in the fantastic clothing 3-2-1 Framboise chose for him! When you subscribe to your monthly box (which you can skip a month or cancel whenever you want, and it’s super simple! ), you get to choose whether you want 1 or 2 outfits. I really loved this, because unlike some monthly subscriptions that send you several outfits, if you’re more minimal like me, you don’t feel instantly overwhelmed by clothing. Or if you still super love shopping and getting mail, this leaves room in your baby’s wardrobe for you to still go buy some fun pieces! It’s a win-win situation! And just in case you wondered, the clothing is 100% comfortable and baby-approved. 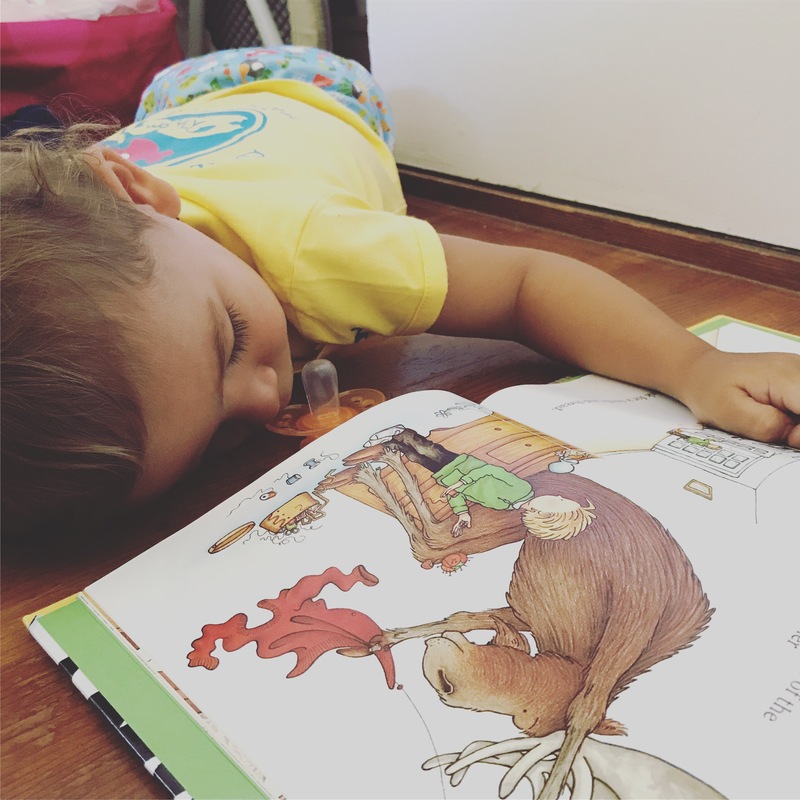 Sweet M passed out for his nap on the floor, “reading” a book, and wearing his adorable, stylish, and comfy shirt from 3-2-1 Framboise. 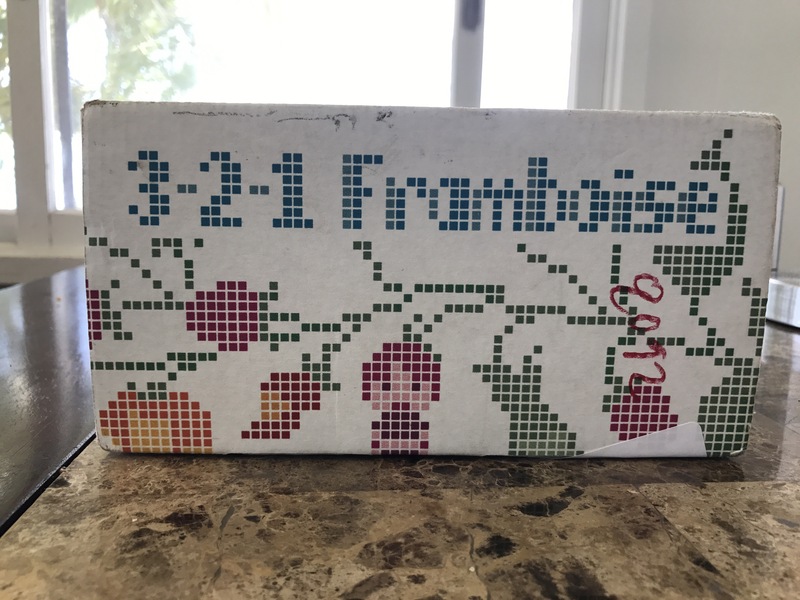 ***Full Disclosure: I recieved a box from 3-2-1 Framboise in exchange for this review, but all thoughts and opinions are mine.